Dear friends, I think that even if we have small place for living in, we can still have modern and cute decor. The prove for this is the following nice and small apartment decor that you will have the chance to see through our photos here! First of all, we will start with the decor of the living room. This is sensational look even if the space is small we can still keep the modern look and to take care for this place always. Scroll down to see this decor. When the space is small we have not many options unless to leave the living room to be open concept together with the dining room, kitchen and the entrance hall. Scroll down to see this creative arrangement to the all of the things you need or have in these rooms. Everything is in pink, so I like it! 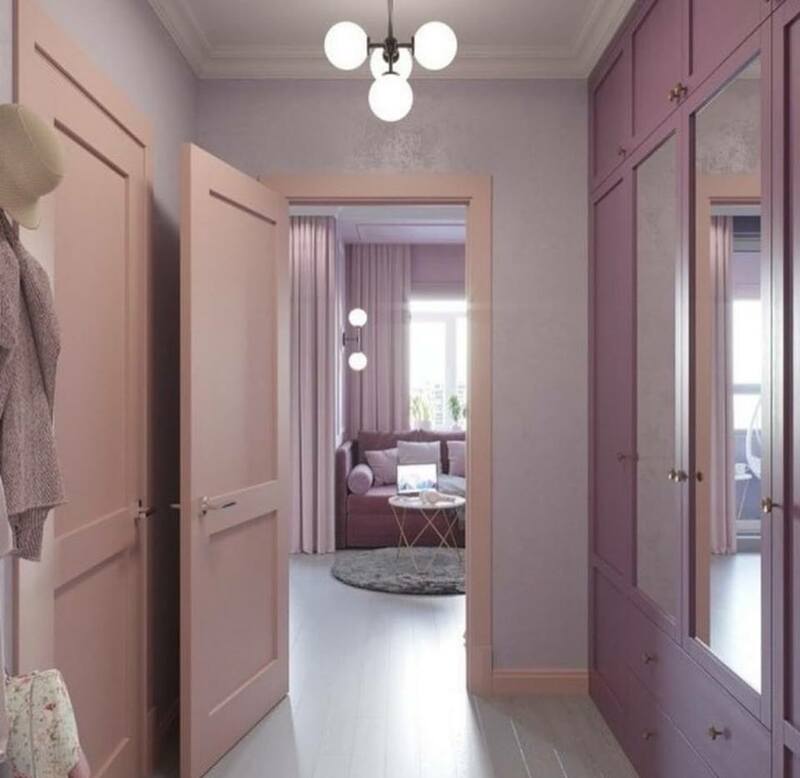 The design in the entryway is again in light pink but also with little accents of the dark pink. As you have he chance to see it, the wardrobe is place here which might help you a it with the space saving in the small living place. What do you think? 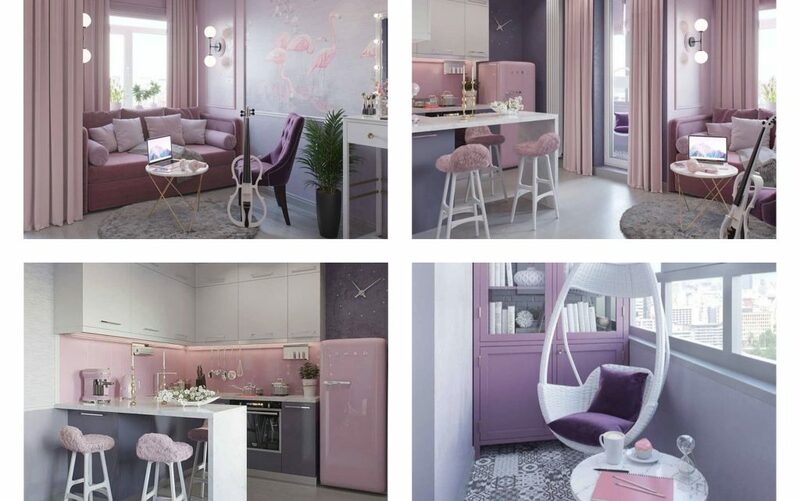 Bring the pink colour in your room too, love the design and don’t be sceptic if your apartment is monotone. At the end of the day, you are the person who will live here and not your neighbours!!! 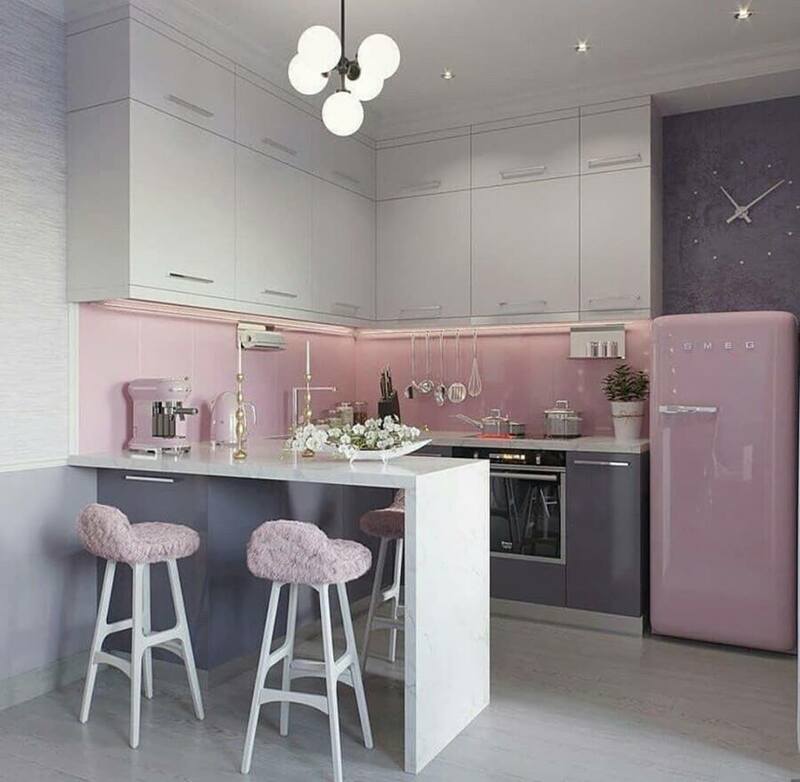 In the kitchen place, we can still keep the white and pink colours and to have sitting bar here with this to save space and to cook with love and admiration to the design. Talking about the balcony place, now when the weather is good, we spend more time outside, sitting on our balcony place. 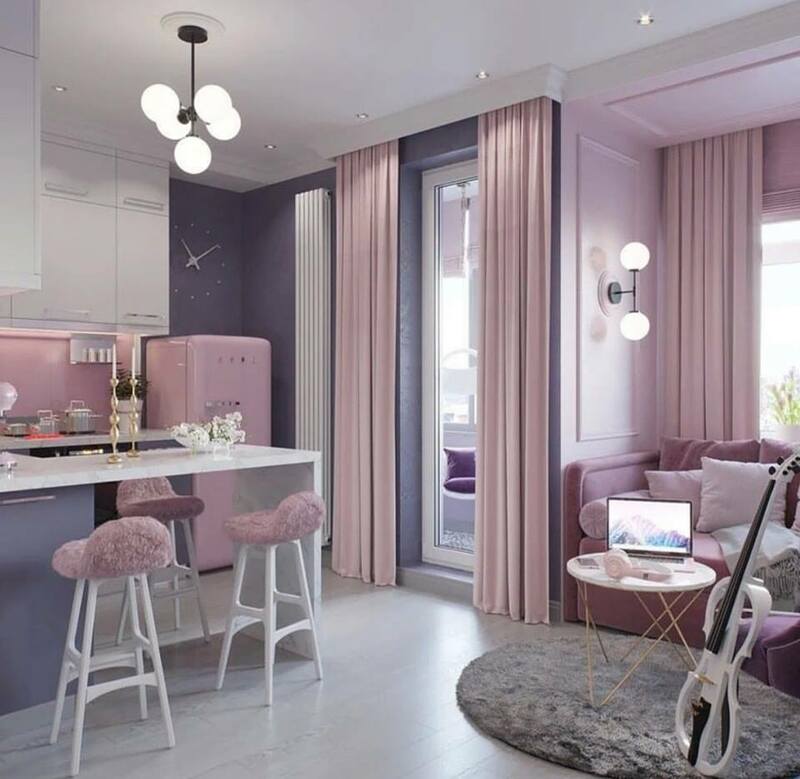 See this combination of pink and purple in the balcony place which is part from the same home design. 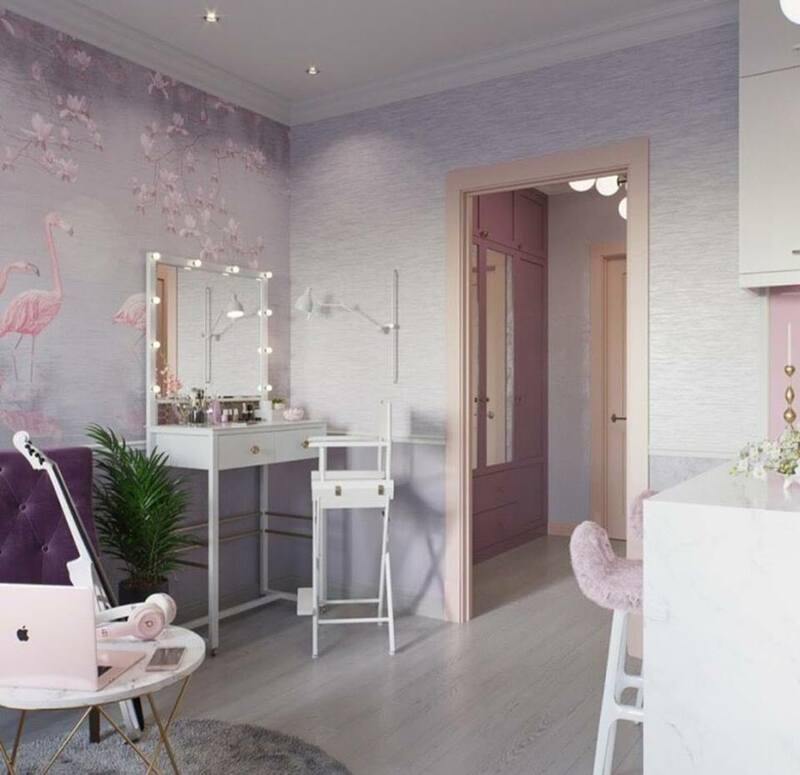 With the design of the pink bathroom we will finish this creative post that I hope those people who live in the small apartment found it useful. 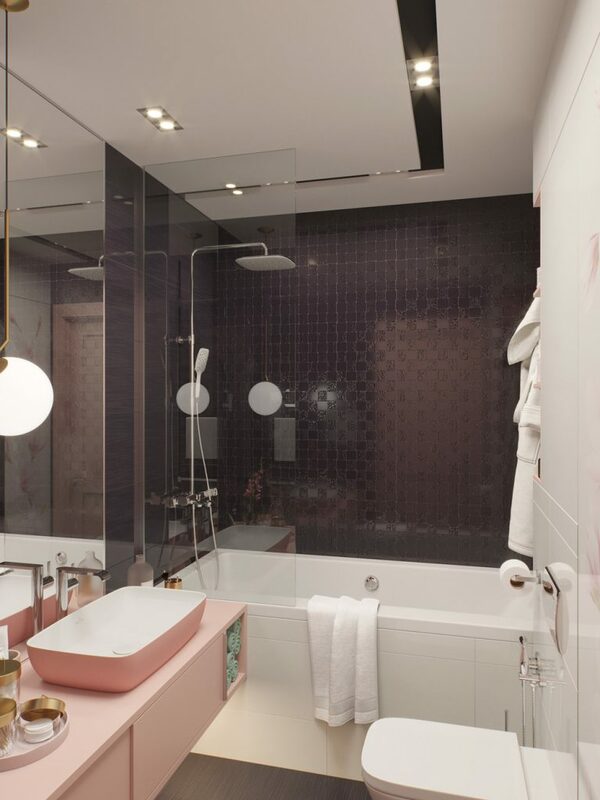 We don’t need too much space in our bathroom, but we need to be careful with the organization to the things we need here and also to choose light colours that will keep the modern design like is the case here in the photo. Take a look now and enjoy in our last photo from this post! 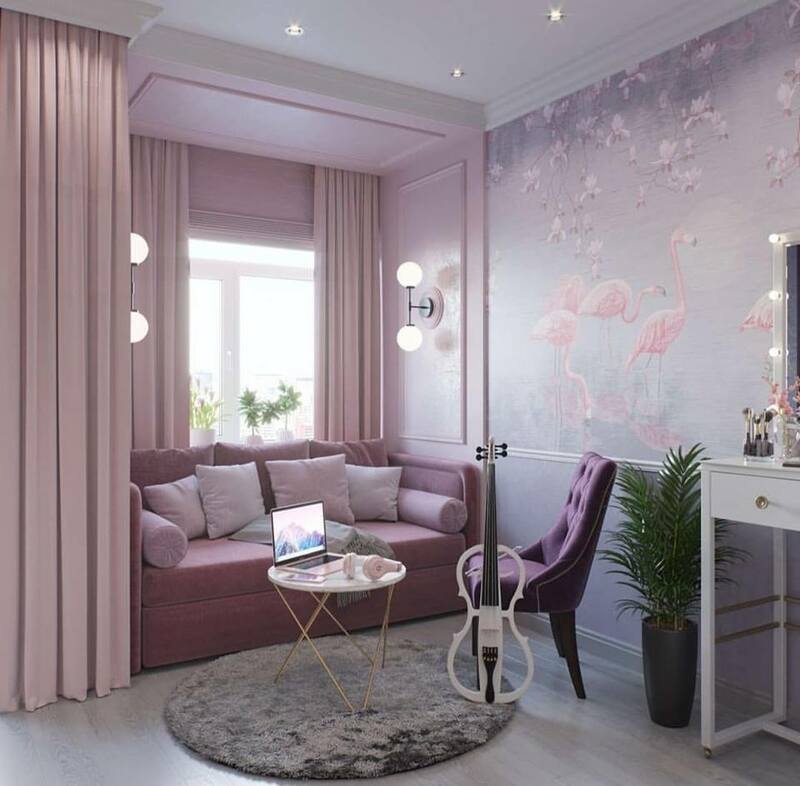 But, friends, if you don’t love to see the pink colour in your home place, see how to use the white and the turquoise colours for designing your small house place. Sorry to tell you that this is the last photo from this post but don’t worry we will be back with NEW ideas very soon!! !